We all know that one of the best ways to keep our dogs off the furniture is to invest in furniture that is designed for them and their needs. If your dog is one of that kind and is finding comfort in your couch – without your approval – you should definitely check out some of the best dog beds and furniture and help them understand where they should hang out. After all, there are so many dog furniture items designed for their favorite activities such as sleeping, eating, playing or going out for a walk. This is why we have created a list of all the best dog beds, furniture items, stairs, round beds, car seats and other products. Each and every product in the list below is designed for maximum comfort of your dog in every single situation – whether it’s your home or your car. Now, let’s go in detail about each of these products and show you why for many, each of them is the most recommended dog comfy bed in 2018. This is one of the products that will make yours and the life of your dog much easier – and a win-win combination for comfort and scratch-free furniture. 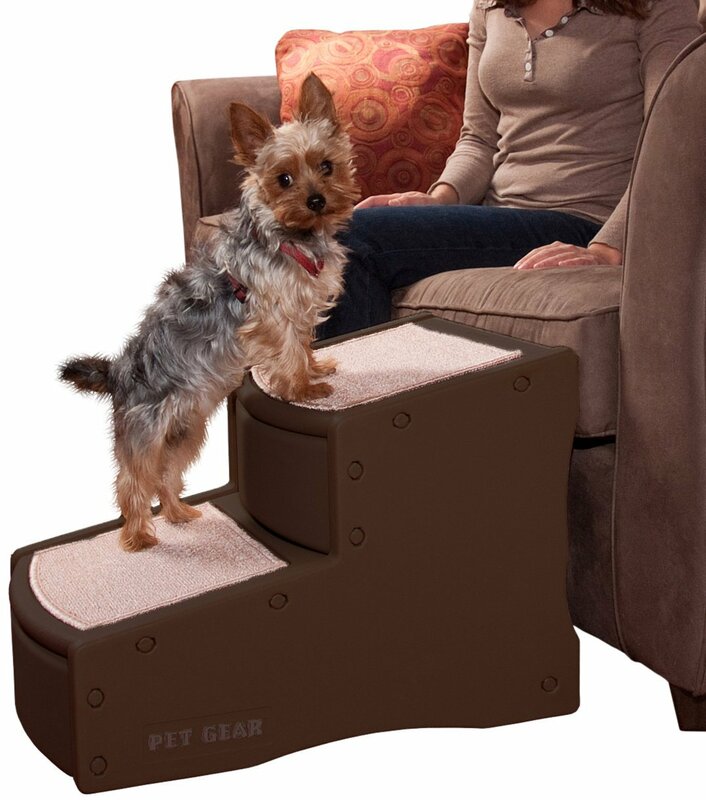 Basically, the PupSTEP is a product that is super lightweight and sturdy enough to support dogs climbing on the furniture. 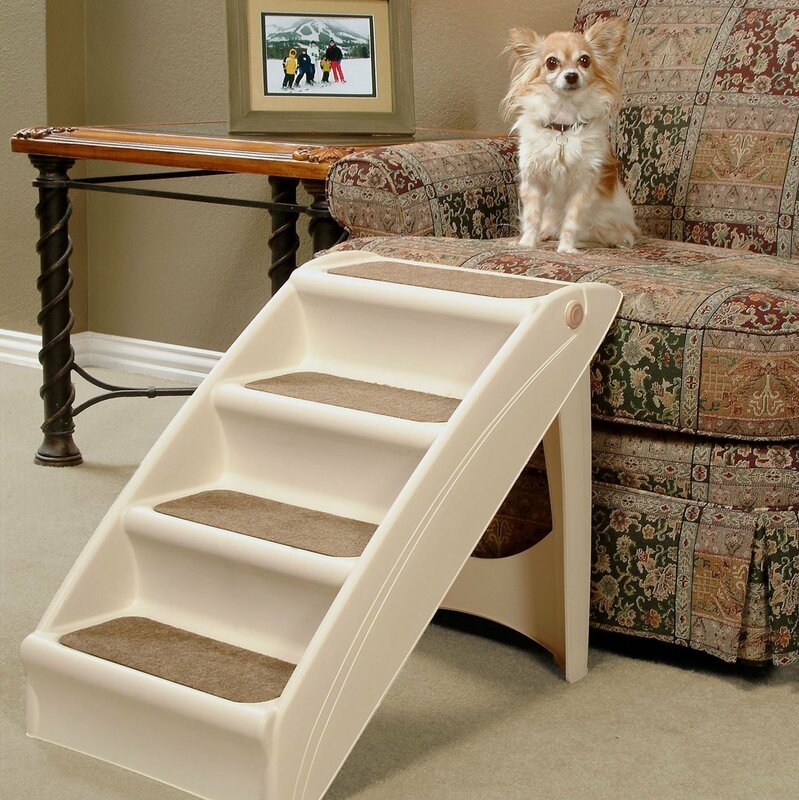 It is perfect for smaller pets and features stairs that are comfortable to climb and access. There are even side rails with non-skid feet helping your pet to feel confident and secure while climbing up and down the stairs. It is up to you to position this product wherever you want. Whether it’s your favorite chair or the sofa, it is a product that gives them quick and easy access. And if you are thinking about storage, let’s just say that it can be disassembled easily and tucked away when needed. Plus, you can use the stairs every time your pet needs help to get in your vehicle! The holes for legs in vehicles create a lot of problems for dogs nowadays. In order to solve these problems, a group of designers have teamed up and created the Winner Outfitters dog car seat covers. These are designed for the backseats of all standard cars, trucks and SUVs which means that you can use them in a range of purposes. Waterproof and non-slip, these seat covers use a revolutionary technology that is TPU waterproof and include built-in rubber non-slip backing and seat anchors. So, even in the craziest situations, your seats will be protected! 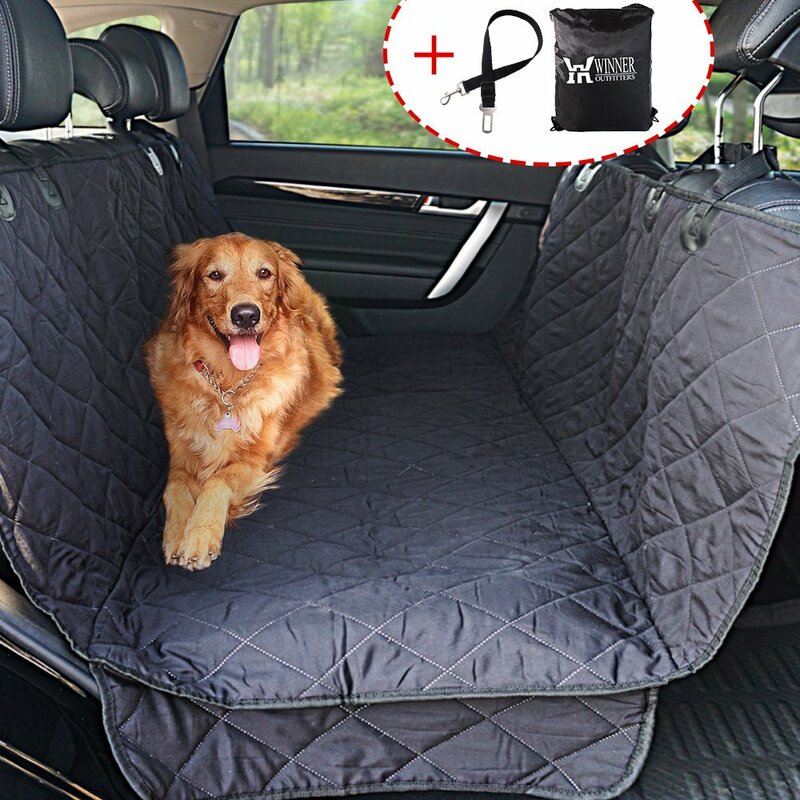 Your dog will feel soft and comfortable when sitting on these seat covers. They are easily washable in the machine (use gentle cycles) and are backed by a a no-questions-asked warranty. If you want a bed with a luxurious plush fabric, this is one of the top-rated products on the market and a real bestseller. The reasons for that are many – but the biggest one is its versatility and the fact that it is universal. It is also machine washable (use a cold gentle cycle) and liked by thousands of pets around the globe. 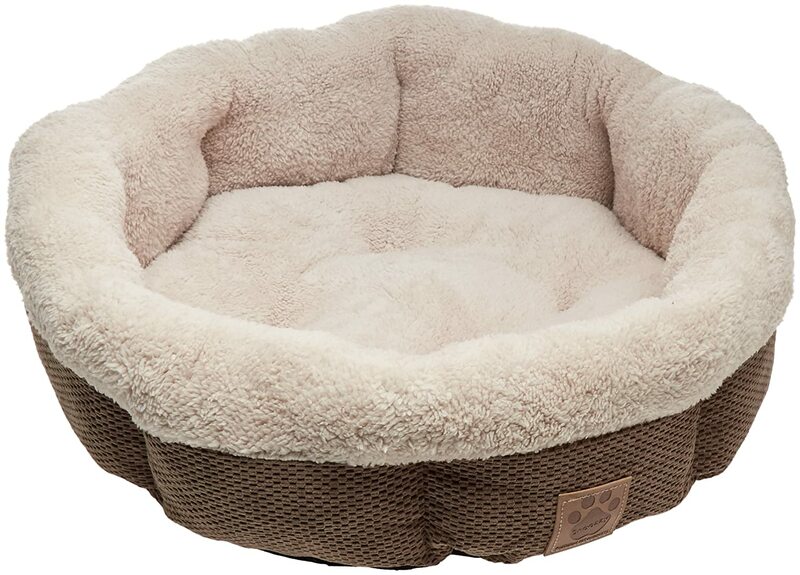 In a world full of round beds, buying this one ensures that your pet gets a polyester fill for added comfort. The stuffed bolster sides, on the other hand, provide additional support for your lovable furry friends and for your convenience. Customers describe this product as super soft and cuddly which is perfect for any pugs, med dogs and breeds that weight up to 50 lbs. They will sleep deep into them like you’ve never seen them – and get the best substitute for your (comfy) furniture. 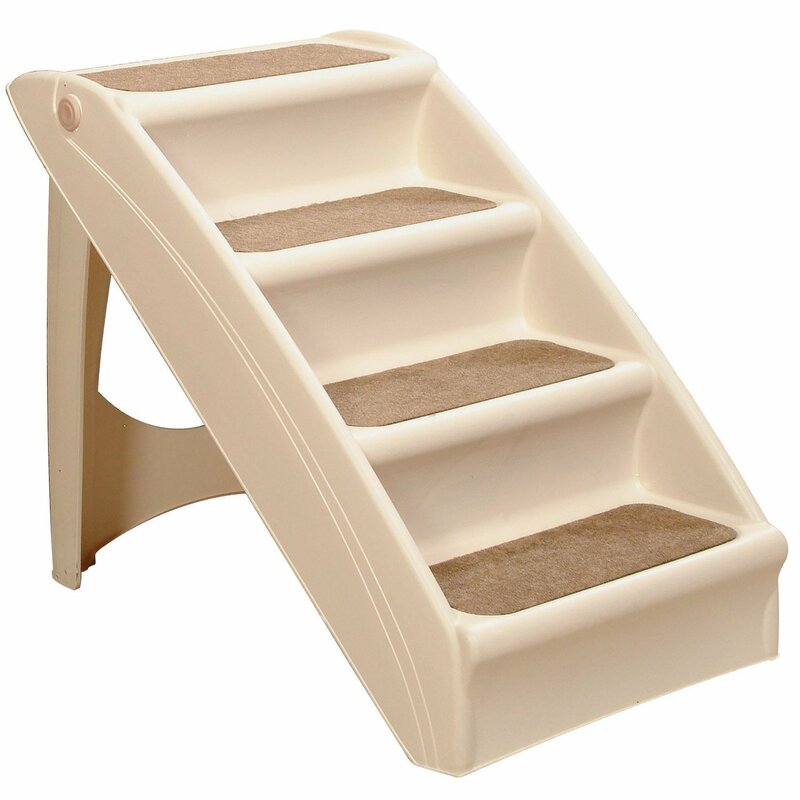 This is another set of dog stairs which comes in a variety of colors including Chocolate, Cocoa, Sage or Tan. With its wider and deeper landings, it keeps their steps secure and in place – all thanks to the rubber grippers. In case you didn’t know, these pet stairs give the same function as many similar products – allowing your pet safely get to hard to reach places and areas. The stairs feature wide and deep steps that give small dogs the ability to get their entire body on the platform and large dogs to comfortably climb the stairs. Measuring 22.5 x 16 x 6 inches, this product is great for pets up to 150 pounds and can snap together easily without any tools required . Cleaning is easy as this product is machine washable. This product can be used by both cats and dogs. 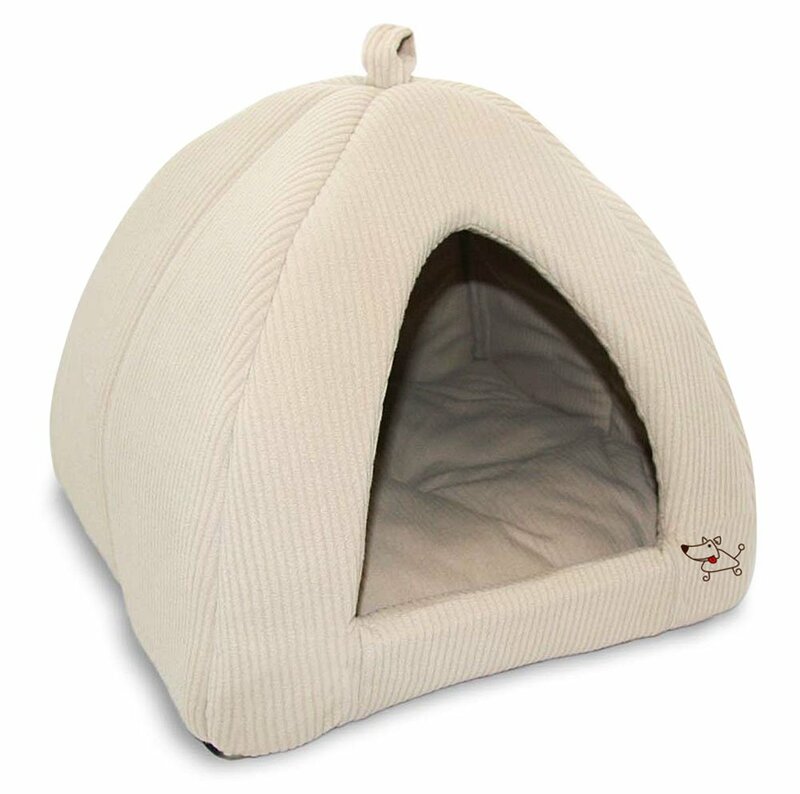 It is basically a mini-sized tent which is soft from all sides allowing maximum comfort and relaxation for your furry friends. There are three colors (with an X-Large size too) and a variety of colors to choose from. The tent has been designed using faux suede, linen or corduroy and each of the designs comes with a soft polfoam lining. The indoor look is great and the timeless style of the beige plush allows the product to seamlessly blend in every decor – especially if you choose a color matching yours. Maintenance is also easy – you can wash it in the machine without stretching out of shape and acting like the best soft crate making traveling simpler than ever before. There is a range of different colors to choose from (precisely 17) when opting out for this orthopedic dog sofa. Ideal for a large breed dog or several dogs, it comes with bolstered edges that are soft and supportive. The “egg-crate” orthopedic foam, on the other hand, supports their joints and soothes any pressure points which results in deeper and more restorative sleep. The sofa is available in four sizes: Small, Medium, Large and Jumbo – all of which equally crafted. The plush faux fur sleep surface is super soft and durable and the sofa uses a water-resistant polycanvas base. 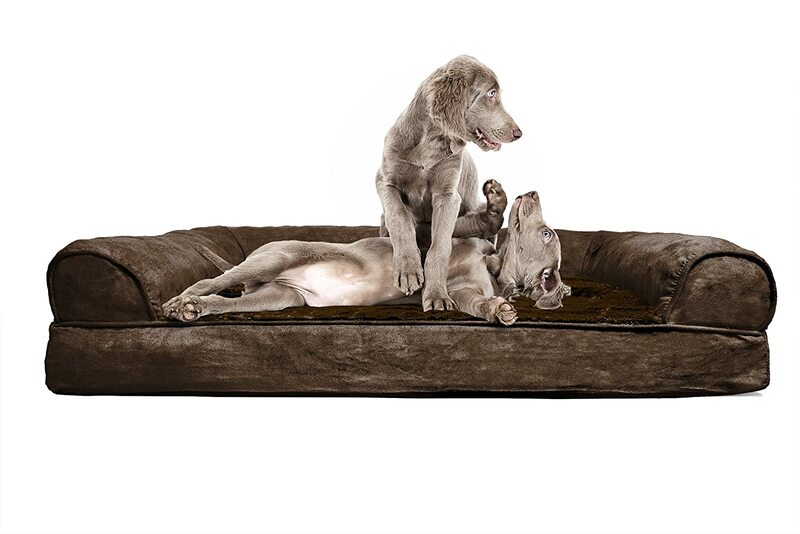 Whether it’s a nap or a full night of sleeping, the supportive bolsters and amazing plush material make this one of the best dog beds out there – perfect for pets that are young and old. Designed to provide your loved one with maximum comfort for a good night’s rest. 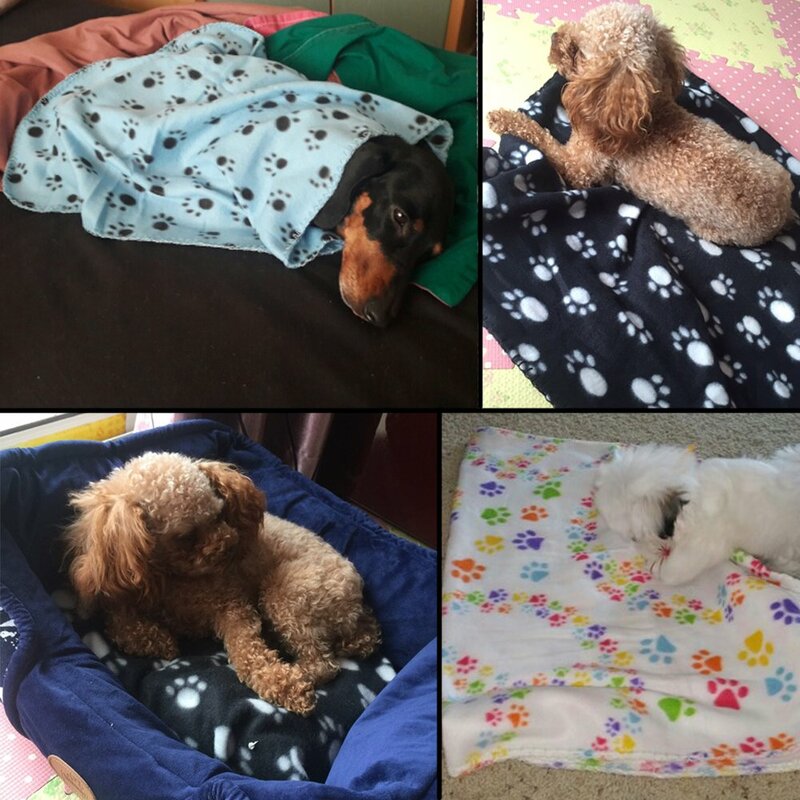 Looking for the ideal blanket set for your dogs? This is a great bedding product for pet carriers, beds and nest. If your dogs loves climbing on the sofa or chair, it is perfect and prevents scratching or shedding of your furniture. Suitable for every season and all kinds of situations, you can use this product as a warm blanket, a mat pad, a bath towel, a picnic blanket etc. Both of the sides are made of fleece which is not very heavy but still providing good warmth. 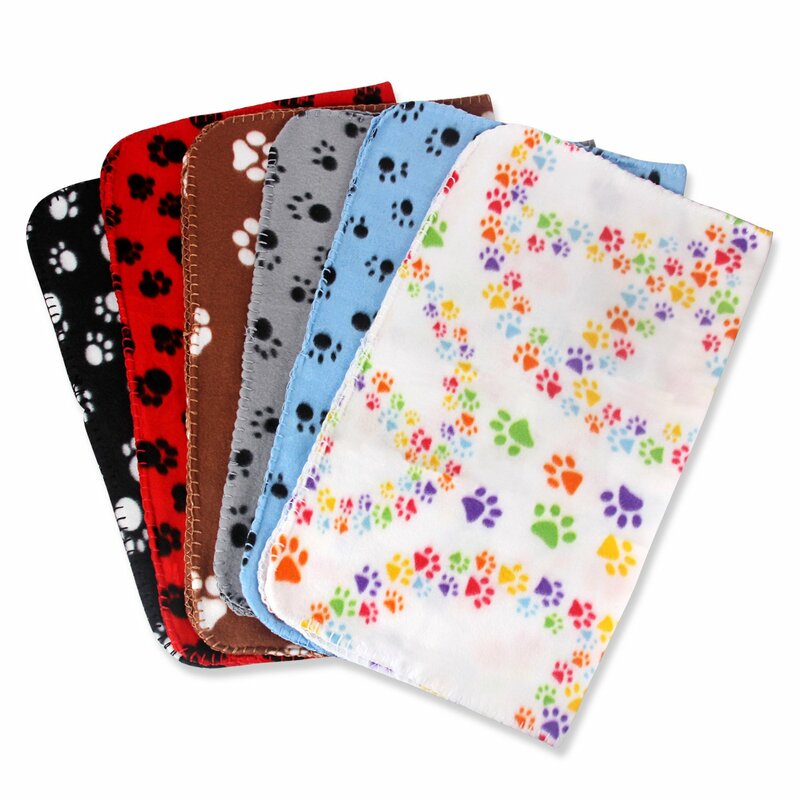 The blanket features paw prints and comes in a variety of colors including brown, blue grey, red and white etc. The good thing is that you can use it while washing the other colors. Lastly, the size of it is 24×228 inches which is not too big and not too small – known as perfect for pets such as kitties, puppies and many other small animals. A brush dust cleaner is one of the furniture accessories you should never overlook. Without it, your blankets, dog beds and pillows won’t be as clean as expected. What’s good about this product is the fact that it is compact and easy to carry. The portable design makes both kids and women love it. Featuring a simple automatic cleaning, it should be disposed to the trash can. Without battery or the need for water washing, it is easy to clean with it and can be applicable to a wide range of facilities, from homes to offices, clothes, pet hair, plush toys, cashmere, wool, sheets and other sticky wool and dust. In a nutshell, this product is the accessory you need for clean surfaces and happy pets. 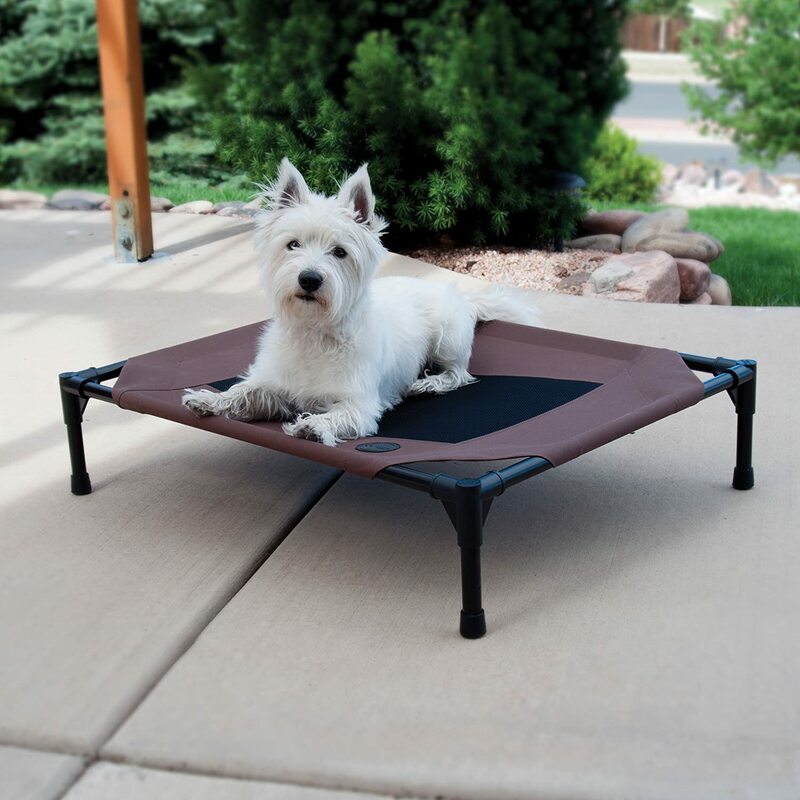 If you are not aware of the concept of an elevated pet bed, this is one of the best designs on the market. You can choose from a combination of 3 colors. However, what’s important is that with this bed, your pets can stay cool and enjoy every single nap. 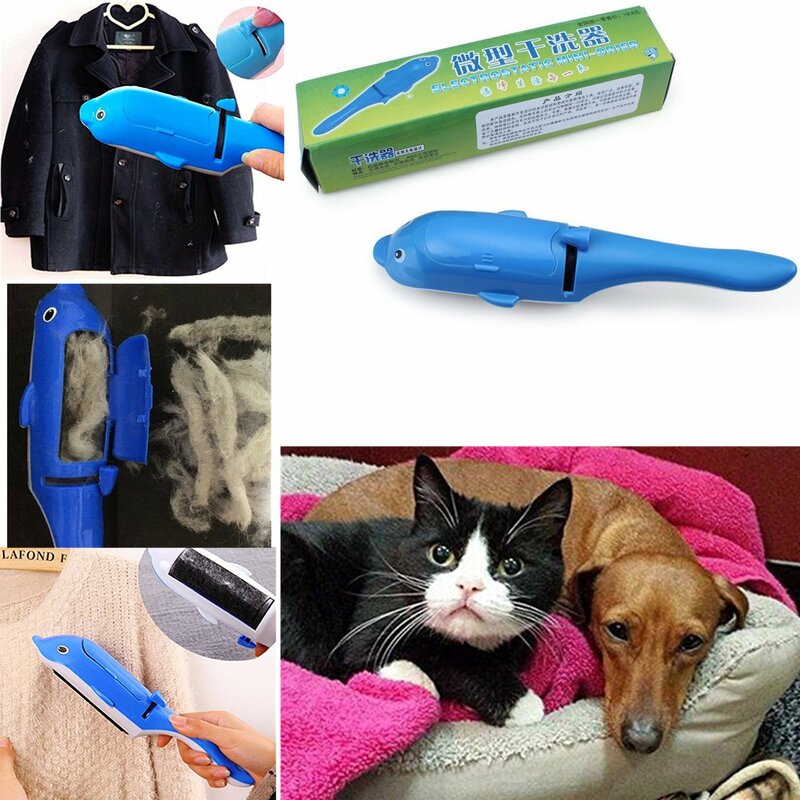 The design allows the air to flow all around your pets. 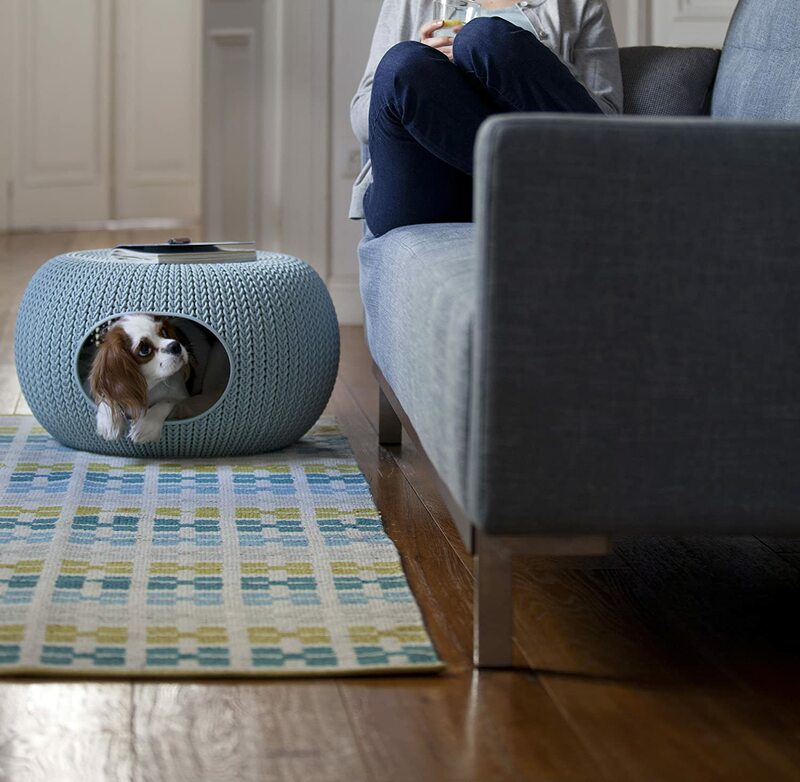 All thanks to the breathable mesh center which allows warm body heat to escape from beneath the pet and therefore contribute to keeping them cool while they lounge around in the heat. Made of waterproof and 600 denier fabric, it comes in small, medium or large sizes with a 1-year warranty. With it, you can keep your pet cool and elevated off the ground. Similar to a pet cot hammock, the design is amazing for summer and great for both indoor and outdoor use. You can even take the bed with you when travelling, camping and everywhere your dog needs proper accommodation. 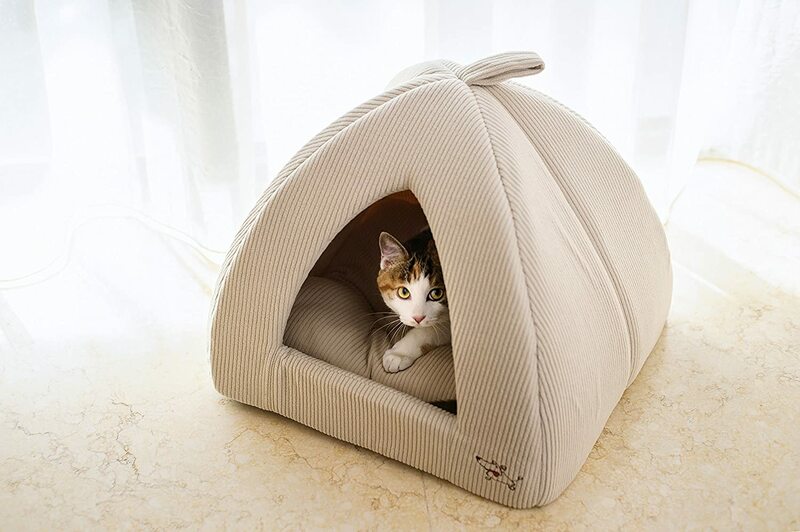 Last on our list is another pet bed which is great in terms of design. This product is round shaped and meant for all the smaller dogs and animals. It includes two washable plush cottons for two small sized pets ensuring that they are always comfy. There are two versatile design options too – with or without the top cushion. The classic sophisticated knit-inspired 3D texture adds up to the design and enriches any decor. The dog bed can easily become a focal point in every room decor and is amazing in changing weathers too – all thanks to its weather-resistant polypropylene resin plastic construction. You can use it with or without the top cushion. The durable material resists damage from the elements out on the porch or any animal damage altogether. 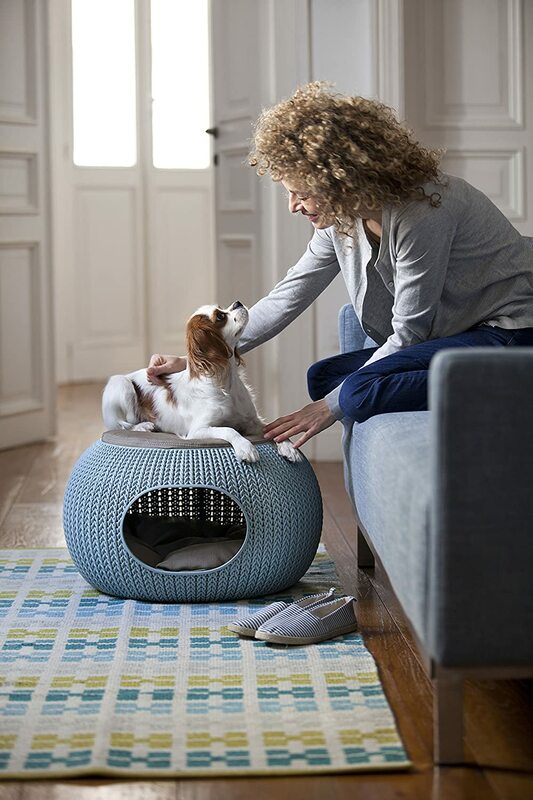 On top of the pet home, your dog will feel like the king of the mountain – while your shy pets can feel snug and secure in the plush luxurious insides. In the end, investing in a quality dog bed is one way of keeping your dog away from the furniture. Most importantly, with this you will prevent any hair, dirt and debris on your furniture as well as a handful of diseases that may spread over time. After all, every member of the family should have his own place to rest – and that includes your furry friends too. We hope that this guide helped you choose a product for your needs!